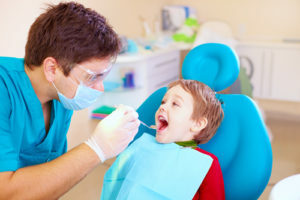 After going through the formal education system, a general dentist New York is able to diagnose and treat a wide range of conditions and infections related to dental health. The first service that such a professional can handle is filling your tooth. In order, for him to carry out this procedure, he has to start by diagnosing that you have a dental cavity. This process is important especially considering that cavities are usually associated with a lot of pain for the affected individual. Secondly, in the event whereby the dentist finds that you have a tooth that is too damaged to be repaired, he can as well extract it. Then you would replace it with an artificial one. Thirdly, a general dentist can clean your teeth. This service could be offered on request during routine visits. When a general dentist cleans your teeth, he is able to do it on all surfaces especially the ones that you might not be able to reach during normal brushing at home. Sometimes you might require improvement of your dental appearance through a cosmetic dentistry procedure. A general dentist New York can handle the procedure of fitting crowns and bridges.